The good news is that you do not have to wait for time to improve your scars. Dermatix® – available in a range of silicone based products is clinically proven to significantly improve the appearance of scars. Suitable for existing prominent immature and new scars, Dermatix® even reduces scarring following surgery, burns and other injuries. 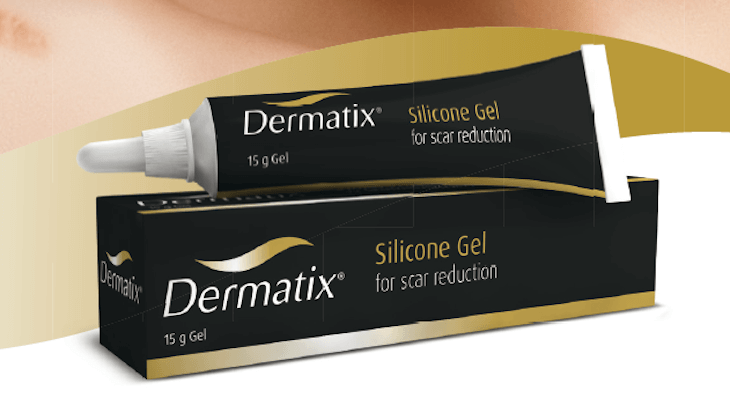 Dermatix® is available as a Silicone Gel. 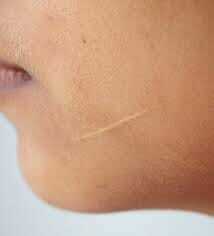 Silicone is the most frequently used non-invasive treatment in scar management. Dermatix® is used and recommended by plastic surgeons, dermatologists and leading specialists worldwide, to effectively treat and reduce scarring. It is clinically proven to soften, flatten and smooth scars, relieving the itching, pain and discomfort associated with them. Dermatix® is easily applied to all areas of the body, including the face, joints and other parts of the skin. Step 2: Cut the tip of the tube. Apply a very thin coat of Dermatix® Gel on the scar immediately after the wound has healed and rub it in. Step 3: Allow to dry for 4 – 5 minutes. If the gel has not dried, remove the excess product. WARNING! DO NOT USE ON OPEN WOUNDS! Should not be applied to open or fresh wounds, placed in contact with mucous membranes or too close to the eyes. Should not be applied over antibiotic skin preparations or other skin treatment products. May stain clothing if not completely dry. Apply to clean, dry skin only. Dermatix® is available with or without prescription at leading pharmacies.